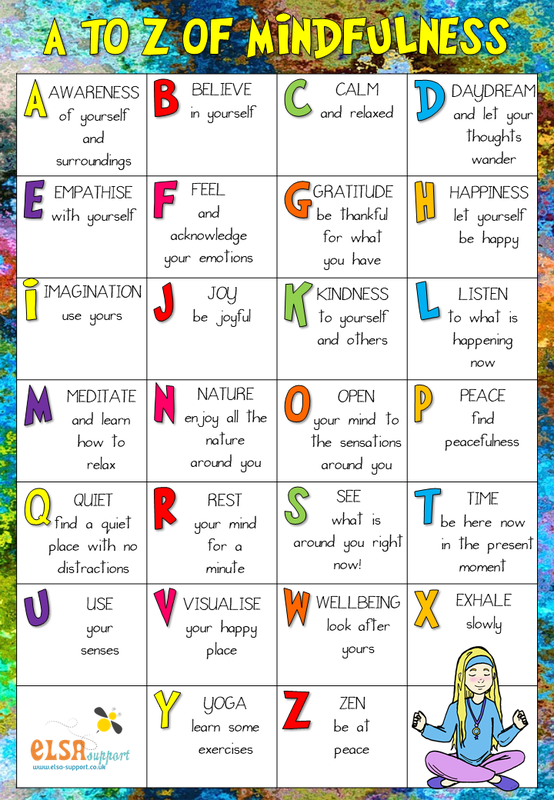 In the ELSA Well being group we had a little game of coming up with words to use for mindfulness. This is the result so thank you ladies for your help. This resource is for #elsafreefriday. There is also a blank, black and white copy for children to come up with their own words.